We get asked lots of questions by our clients, and below we have compiled a few that come up time and again. If there is something else you would like to know, just get in touch! What Do I Need to Bring on the First Day? A bottle of water (or other rehydrating fluid) is a must! Drinking water throughout the session is expected and encouraged. A towel to wipe your sweat off is also a good idea. Yes, Krav Maga Northern Ireland based in Belfast offer private classes and can be tailored around busy schedules. Prices start at £55 per session. 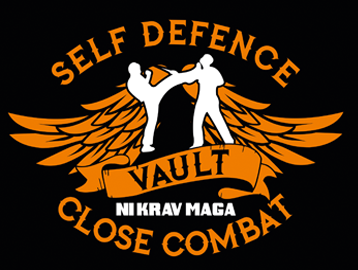 At VAULT Defence Krav Maga Clubs we believe people have different fitness levels and therefore we ask each student to train as hard as they can or want to push themselves, although we encourage all students to work hard to get the best out of each session, Krav Maga is not about being fit or strong. Sessions are fairly laid back with a friendly atmosphere, if students need to take a break then so be it, no pressure or ill feeling. The concepts within Krav Maga and Self Defence is simplicity, ease of learning and effectiveness. Therefore no experience in Martial Arts or Combat sports is necessary. Do I Need Specialised Equipment? No specialised equipment is needed to train, but again if you’re looking to train on a regular basis students are advised to purchase arm, shin and groin guards along with grappling gloves. All other equipment needed will be provided for by PKM at each lesson.It is also a good idea to bring water along with you to lessons. A simple t-shirt, jogging bottoms or trousers along with comfortable trainers is all you need to get yourself going, but if attending on a regular basis you are encouraged to wear the official Vault T-shirt available for purchase. Over time an old jacket or Judo Gi would be beneficial for ground work. What If I Want To Learn Quickly? Impact Survival Courses are run 3 times per year. These are intense courses run over 3 days (21 hours). Within this time you will learn the full Krav Maga syllabus and more. If you survive the course you will earn this t-shirt, a certificate and your belt in Krav Maga. Want to learn fast or can’t commit to weekly classes, then you can do our 3 Day Impact Survival Course costs £450 – Train like the Elite. First class you need to pay £8 for Yearly Martial Arts Insurance (this covers you for all Vault Classes) plus normal £8 class fees. Vault Belfast / Vault Holywood / Vault Ards & Vault Banbridge classes £8 per class. (All other locations classes cost £6). On your 3rd class you need to pay your Vault Instructor £2o yearly Membership. You are not asked to purchase a uniform but in time we would like you to purchase a Club T-shirt, especially for Grading Photos – T-shirts £14. Most Vault Instructors are knife Instructors so you will get extra when training with Knifes. Specialised Vault Knife Courses are run from by Stephan Fairfield who are both Drawpoint & Bowie Knife Instructors.